People, most especially celebrities are made brand ambassadors and are given products of some specific brands free of charge and all they have to do is use the products. By doing so even without speaking about it the product can sell itself if it is indeed attractive and good. According to 2 Corinthians 2:14, the bible says that “but thanks be to God, who in Christ always leads us in triumphal procession, and through us spreads the fragrance of the knowledge of him everywhere”. 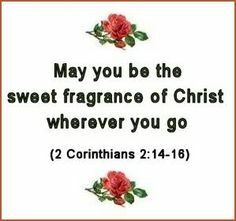 This means that we have been given something we did not deserve but Christ made it possible and so to pay for that thing we have been made brand ambassadors of Jesus Christ, who is the sweet long lasting fragrance money cannot buy. All we need to do is wear Him every single day, and by wearing Him we become more like Him and as we set out He (the fragrance) does the speaking and selling. God is the chief Marketer who always leads us in triumphal procession, so with God selling, will you bring back your products home without anyone buying or asking of it? Well, I always say that our characters are like fragrances, even though it is not tangible it has the ability to touch hearts and draw them closer to us. Galatians 5:22-23 says that “but the fruit of the spirit is love, joy, peace, patience, faithfulness, gentleness, self-control; against such things there is no law. As a brand ambassador of the fragrance of Christ, bearing these attractive fruits above or with these as your character traits you are surely going to endorse more brands and that means more benefits for you and those that are going to see the products through you. May God help us all be better brand ambassadors of God Amen. Father in the name of Jesus, thank you for this day and my life. Thank you also for this word and I pray that you will forgive me of my sins against you even as I forgive those who wrong me. Spirit Divine, please shape my thoughts and actions so people may sense that I have been with you. Help me bear good fruits and help me be a good ambassador of the Fragrance of God.Lead me always into your presence so I can learn more from you to excel at this job you have given me. Thank you for answering my prayer in Jesus name, Amen. ← What fragrance are you wearing? Beautiful analogy. I love this! Amen and God bless you! 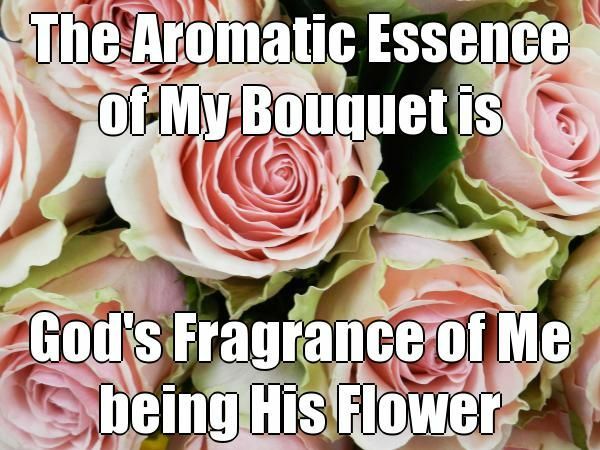 Yes Indeed it is a Beautiful Analogy, explaining to us that “We are the Brand Ambassadors of God’s Fragrance. You really have a special God Gifted Talent to “Preach The Word of God”. You should write a Book and compile all these Blogs into it. I want to remember your Words of God forever. I Love your ending Prayers. Please pray for me, to win against evil people. Wow! Thanks so much for these words, and I will start working on that too. I will surely keep on praying with you dear… You are already a victor! Amen!! Bless you too my dear. A clever angle to write from, Pap! This makes good spiritual sense and is well done. Glory to God. Thanks for the comment. An amazing analogy and such a word.